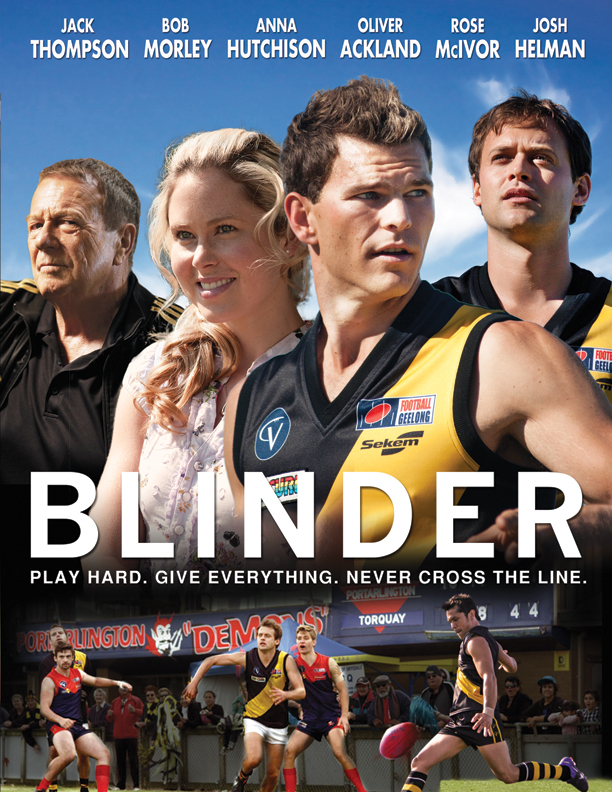 Packed with high stakes football action, BLINDER sees legendary actor Jack Thompson (The Club, The Great Gatsby) square off against the blinding talents of Oliver Ackland (100 Bloody Acres, Cloudstreet), Josh Helman (Jack Reacher, Mad Max: Fury Road), Anna Hutchison (Cabin in the Woods), Rose McIvor (The Lovely Bones) and Angus Sampson (Insidious). Ten years after a scandal tore his town apart, disgraced football star Tom Dunn (Ackland) returns home to face his past. Inspired by his former coach (Thompson), Tom finds the strength to reunite his football club, rekindle a lost love, and rediscover his passion for football. A suspenseful, uplifting drama that's bound to score goals with both lovers of sports and inspirational cinema.